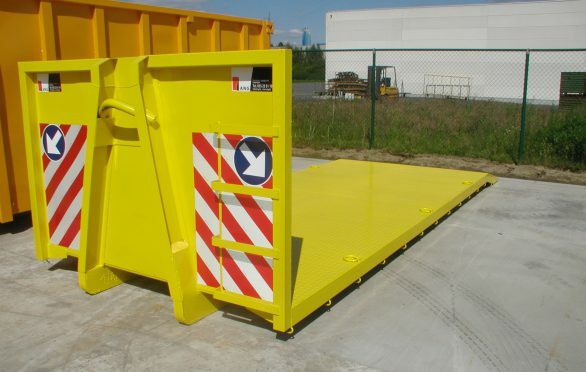 A plateau container has the same basis as a regular container yet without the side walls and back doors. It is mainly used for transport of machines or materials. Its standard equipment consists of 4 hooks, 3 ton each.